Various editions in German and English, with a Mediterranean connection. Of course, the island of Madeira is in the Atlantic, but it was originally covered by the Mittelmeer/Mediterranean editions, so its place on this page is somewhat justified. 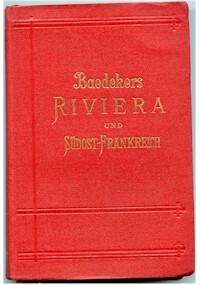 Whilst the Riviera editions on this page are relatively easy to find, the others are less so - extremely rare, in fact, in the case of the English Madeira edition.